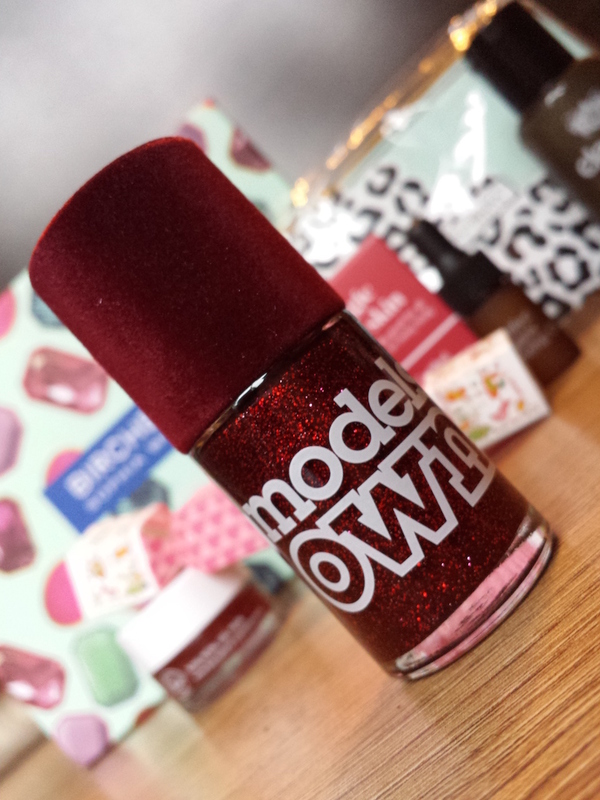 This month, Birchbox allowed all current subscribers to choose the shade of Models Own Velvet Goth nail polish that they would receive this month, and I chose the shade Sardonyx. It has a sheer, red base with red, silver and black glitter and it dries to a matte finish. The application of this polish may be tricky if you aren’t as quick and tidy with applying nail polish. Like most matte finish nail polishes, it begins to dry very quickly. This means that you need to be fast but clean with your strokes or else the polish may begin to turn tacky and difficult to finish off. I managed to get away with one coat of Sardonyx, which makes me happy as I love a one coater. It's not as easy to see in my swatch, but the finish of the polish is matte. I'm going to try to take a better photo of this as the flash has made it look glossy. The glitter adds a lot of depth to the shade. If you prefer the polish to be shinier, you can always add a top coat. A problem that has occurred for me with this product is not unique to this polish. I find that my cuticles can feel drier when I have applied matte-finish nail polishes. Does anybody else encounter this? I did counter it though with the use of the Trilogy Rosehip Oil (next product coming up) which will temporarily make the polish look glossy (a bit like my swatch, really!). However, the glossiness will disappear again..
You can purchase Models Own Velvet Goth Nail Polish in Sardonyx for £5 from Birchbox. The Trilogy Certified Organic Rosehip Oil is a pretty self-explanatory product. It contains one and only one ingredient - organic rosehip oil. Rosehip oil has a lot of uses, but it is probably most commonly used as a natural alternative to a facial moisturiser. It has anti-aging benefits, helps to reduce the look of scars and dehydration as well as being effective on stretch marks elsewhere on the body. As it is a carrier oil it can also be combined with other essential oils to create your own perfect product. If you are a frequent reader of my blog then you may be aware that I have a huge love for essential oils, including rosehip oil. It is a brilliant product to use on the face, especially before bedtime. It is also a great oil to use as a body moisturiser, on the hair as a deep treatment, around the nails and for helping with areas of dry skin. The Trilogy oils also have a very good reputation, so you know that with their oils you are in good hands. 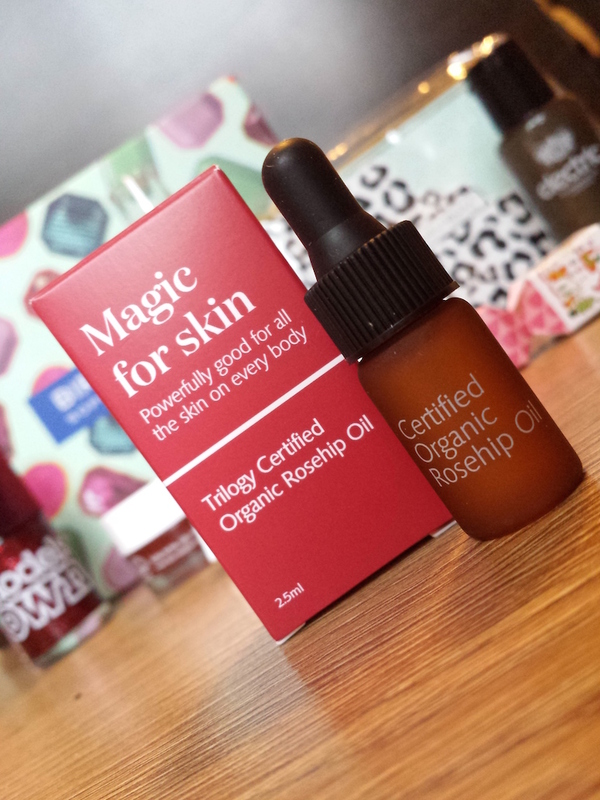 You can purchase a 20ml Trilogy Certified Organic Rosehip Oil for £16.50 from Birchbox. 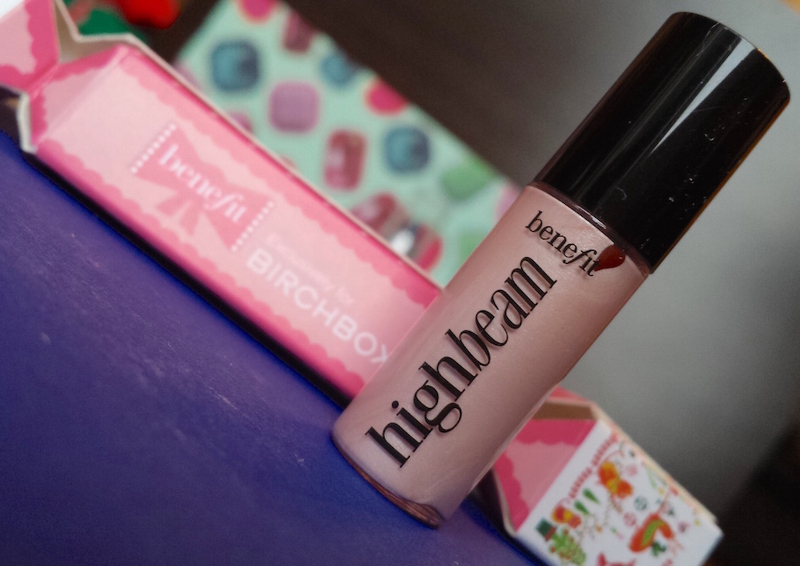 Benefit’s High Beam is a highlighter that comes in a pale pink shade that is suitable for all skin tones. It helps to illuminate and enhance your features whilst providing a soft, dewy finish. To apply you need to use the included brush (think a bit like a nail polish) to apply the product to any areas that you wish to highlight (brow bone, cheekbones) and use your finger to blend quickly. It does have sparkle but not too much, so it doesn’t make you appear to be overly glittery. The result is subtle and natural looking. High Beam is another fantastic product by a brilliant brand. I really liked the way that Benefit decided to present their sample in this months Birchbox. The Christmas cracker gives it a special, festive feeling! 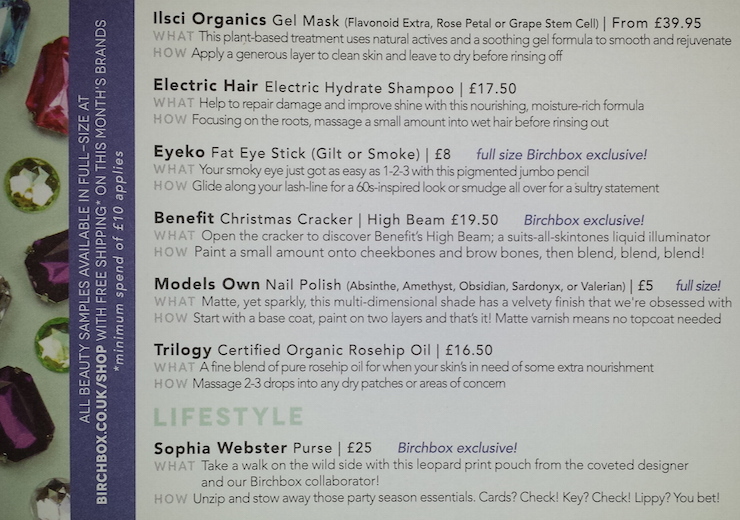 You can buy a full-size Benefit High Beam for £19.50 from Birchbox. The Eyeko Fat Eye Stick’s are super creamy eyeshadow pens that make applying eyeshadow and creating smokey eyes a breeze. The shades featured in this months box are exclusive to Birchbox and I received the shade Smoke, which is a dark grey-black. I haven’t had chance to test this product out on my eyes yet so I can’t say how it looks when applied, but I have tested it on the back of my hand to swatch it. It seems to be pretty opaque but soft. 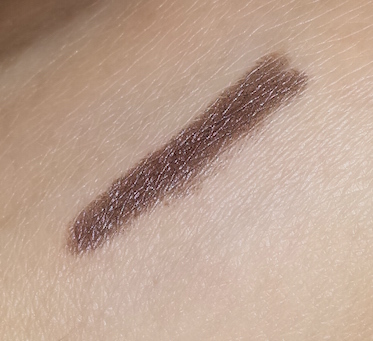 It’s not as bold or as dark as it looks on the stick and it is very creamy and easy to blend and smudge. You can buy the Eyeko Fat Eye Stick Trio (all three shades: Smoke, Gilt and Satin) for £16 from Birchbox. Ilcsi is a skincare brand from Hungary that creates natural and organic products. The Ilcsi Rose Petal Gel Mask is designed to help reduce the look of pores, wrinkles and redness whilst also brightening the skin. The effect on the skin is said to be slightly tightening, hydrating, regenerating, softening, smoothing, toning and nourishing with improved elasticity. You need to apply it once weekly either as a thin layer to leave on over night or a medium-thick layer to allow to dry before wiping off. The mask itself actually reminds me of jam. It is a deep red with rose petals throughout it. Even the texture, which is thick and jelly-like, reminds me of jam. It's the best and most honest way I can describe it. Applying this face mask feels like rubbing jam on your face. Jam that smells like roses. 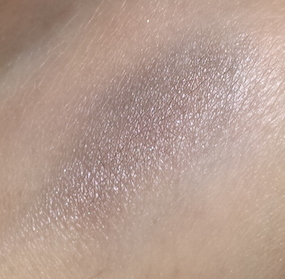 With that said, the effect on the skin is first cooling and then as it dries you almost forget that it's on. I applied a medium layer to my face to wash off when it had dried. I was pretty wary about it affecting my recent outbreak of perioral dermatitis, but I wanted to give it a try due to its regenerating, softening and smoothing properties. I left the mask on for around 10-15 minutes and after removal my skin was left feeling really soft and tighter. It also didn't aggravate the perioral dermatitis, instead helping to relieve the dry patches. I followed it up with the Trilogy Rosehip Oil and together they make a pretty great combo! 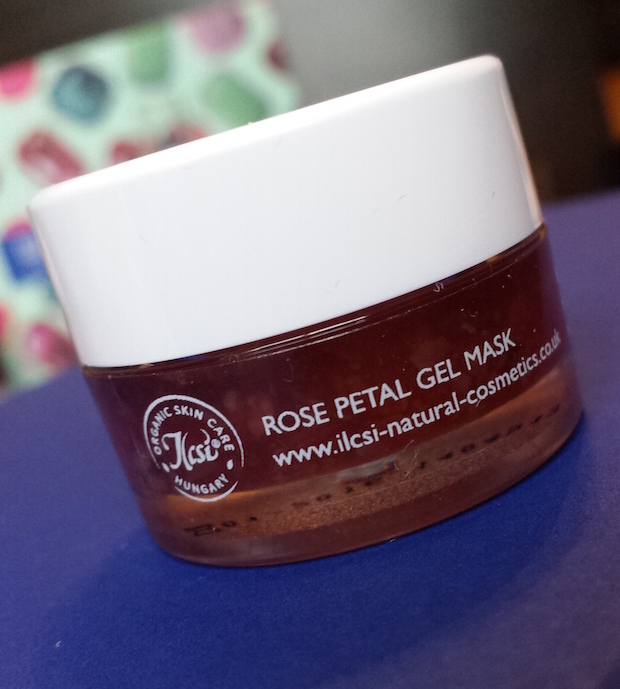 You can purchase a 50ml pot of Ilcsi Rose Petal Gel Mask for £39.95 from Birchbox. 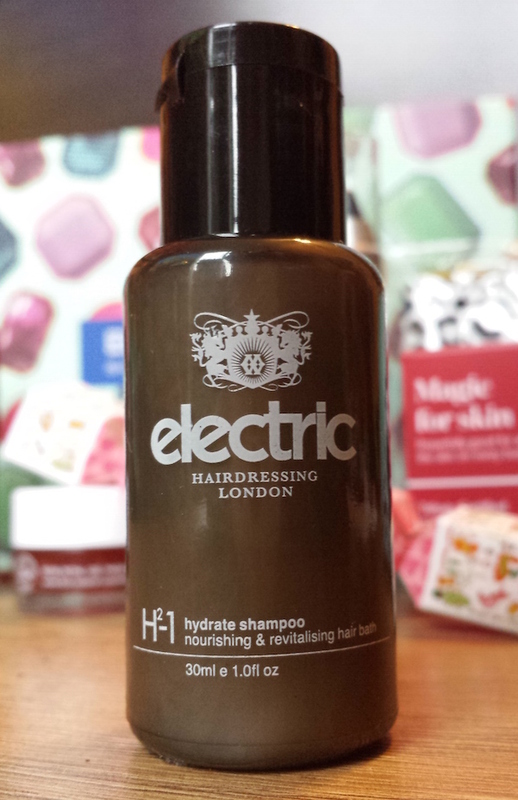 Electric Hair is an indie British brand that specialises in hair care. Their Hydrate Shampoo is packed full of moisturising ingredients. It also helps to repair damaged hair from within, improve the texture and help it look revived and full of vitality. Again, if you are a frequent reader of this blog, you will probably be aware that I use natural shampoos. I'm a little sad that I didn't get the biOrganics Balancing Shampoo that was also available this month for subscribers as I could have actually given it a test run. However, I have passed on my sample of Electric Hair's Hydrate Shampoo to my best friend, Jess (from Missnoodlebug) to test out. As soon as she sends me her feedback (will be after Christmas) I will update this post! You can purchase a full-size 250ml bottle of Electric Hair Hydrate Shampoo for £17.50 from Birchbox. This month’s lifestyle extra is an exclusive Sophia Webster designed coin purse. It is mint green with half leopard print on one side and black and white stripes on the other. 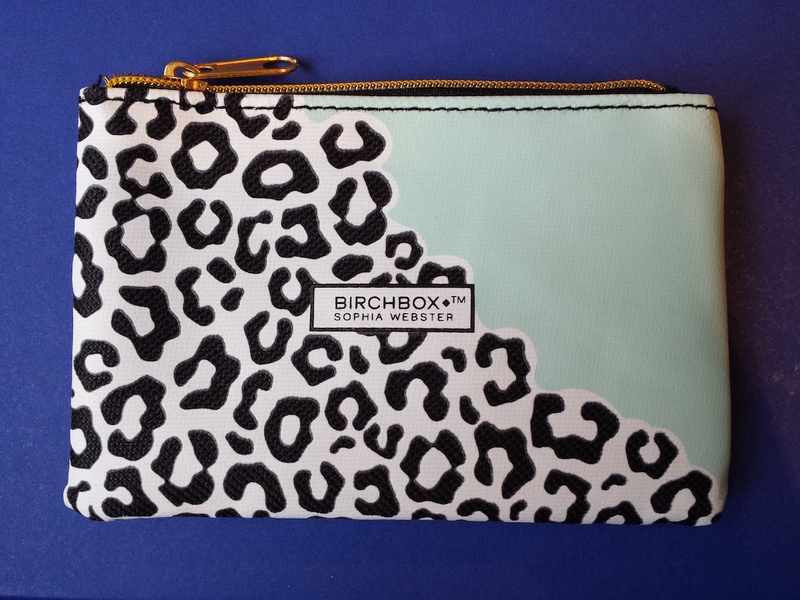 The Birchbox logo and Sophia Webster’s name are both featured on the front of the coin purse, aka the leopard print side. It also has a gold zip. It's a pretty cute lifestyle extra that I will most likely get some use out of. It will most likely hold my spare change! You can purchase your own Sophia Webster designed purse for £10 from Birchbox. 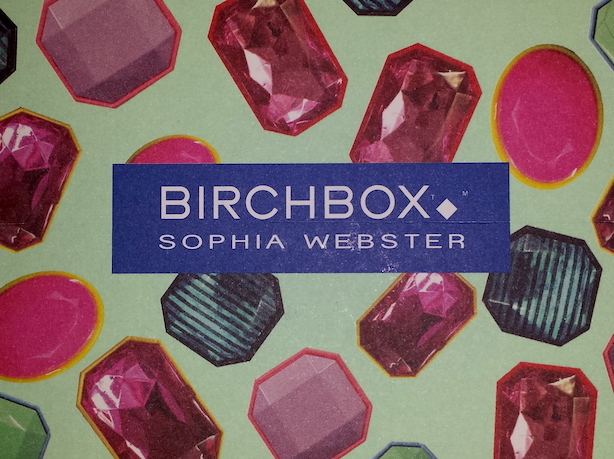 Overall I think that this box is a pretty good effort by Birchbox. It isn't my favourite of the year (I'm having a tough time trying to decide which one is! ), but it is one of the better ones. The addition of full-size products is again a much appreciated inclusion. I also appreciate the little makeup treats directly before Christmas! I just hope that my face will be ready to accommodate them (thanks, bad timed pregnancy symptoms!). The delivery time for this months Birchbox was the slowest that it has been yet. Whilst I can see that Christmas can play a huge role in delivery times, two weeks was a long time to wait. After reading up on the Birchbox Facebook page and some tweets on Twitter, it’s clear to see that I’m not the only person who has had this issue. 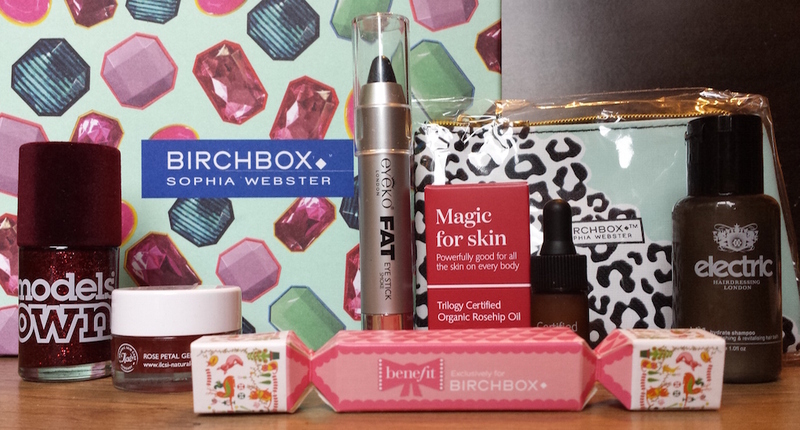 However, if you have read my reviews on the September and October boxes then you will also see that I have had some slow deliveries on Birchboxes in the past. All previous months have been pretty speedy though. Here’s to hoping that the new year brings us better delivery times! This month, for £50 you can get a three-month subscription and a free, limited edition Birchbox Man (which is usually £25, but has contents worth £58) with the code GOODIE at the checkout.